For many marketers, cutting agency fees is an obvious target when it comes to meeting budget reduction goals. The reasons are understandable given the need to balance achieving in-market results and preserving or improving working media levels, while achieving the desired savings target. A factor which clouds this issue, is the general level of uncertainty among marketers as it relates to the overall competitiveness of the fees being paid to their agency partners. Are we paying our agencies too much? Or are we already at a competitive remuneration rate? Without being able to objectively address this item, there will likely be internal pressure brought to bear from finance and or procurement to reduce agency fees as part of the budget right-sizing initiative. It should be noted that we believe in regularly reviewing agency fees, assessing their competitiveness vis-à-vis the market and in looking for ways to optimize a marketers return on its agency fee investment. That said, we also firmly believe in compensating agency partners fairly and in proportion to both the agreed upon scope of services and the agency’s ability to contribute to the attainment of an organization’s marketing and business goals. Experience has taught us that organizations which focus solely on reducing agency fees, without adjusting the scope of work and or the agency staffing plan upon which those fees were based, can negatively impact agency relations and jeopardize the quality of the work generated by the agency. Further, we have found that when an advertiser involves its agency partners in the budget reduction process there is a greater likelihood of successfully addressing the near-term goal, with the least risk of negatively impacting brand sales. While it should go without saying, we will say it any way, advertisers must adjust their expectations downward with regard to key agency deliverables in the wake of a budget reduction. It is not an agency’s responsibility to fund the advertiser’s savings goal. As it is, budget reductions create financial challenges for agencies in the form of reduced levels of revenue, which in turn create staffing and resource constraints that they must deal with. Thus, asking an agency to reduce its negotiated overhead rate or to lower its profit percentage to preserve planned deliverables (e.g. do more for less) is simply not appropriate. Review the creative briefing and approval processes. Streamlining and reforming current practices in these areas can reduce the number of steps and therefore the number of agency personnel involved in the creative development process. This in turn can lower the level of “re-work” required, yielding meaningful time savings. Extend current campaigns, rather than developing new approaches, leveraging current creative assets and forgoing the investment in both hard costs and agency fees required to conceive of and launch new creative campaigns. When it comes to the creation of regional versions of creative or the production of collateral materials, embrace an “adapt” versus an “origination” mindset, optimizing existing content, rather than spending time and money to re-create the wheel. The age old acid test of “nice” or “necessary” is the best filter to apply in this area. Reduce the number of media plan revisions over the course of a year. Establish clear goals, implement compelling and relevant strategies and tactics and “work the plan,” rather than revising and re-selling plans. Assess the number of meetings, their frequency and the number of agency personnel required to attend. Attendance, travel time and expense and meeting prep time reductions can yield meaningful savings for both client and agency. Work with the agency to adjust its staffing plan, evaluating both the number and level (e.g. experience) of personnel required to deliver against the revised scope of work. Finally, once the planned reductions have been identified, consider adding or enhancing the agency’s performance bonus, with a large portion of the incentive compensation tied to in-market results. This is an excellent way to let the agency know that your organization understands both sides of the “share the pain, share the gain” partnership mantra. Taking this approach will deliver on the budget reduction mandated by the organization, without negatively impacting relationships with the organization’s agency network. Advertising agencies are finding that organic growth will be a difficult objective to achieve in the near-term. One contributing factor comes in the form of marketing spending constraints on the part of advertisers. Why? Organizations are feeling pressure to control costs in the wake of lack luster market conditions that are limiting growth and reducing margins. Homebuilder confidence sank, posting HMI’s lowest reading in over 6 mos. Two CPG giants have announced dramatic moves, which reflect the nature of this challenge. Unilever signaled its intent to reduce the number of agencies on its roster by 50%, while cutting the quantity of ads produced by 30%. Procter & Gamble Co. indicated that it would trim $2 billion in marketing spend over five years as part of an enterprise wide expense reduction initiative. It is worth noting that there are motivations beyond “cost reduction” driving these decisions by advertisers. Consider fast-food giant McDonald’s, which earlier this year trimmed the number of agencies that it works with from 60 to fewer than a dozen. Their goals included streamlining marketing and improving the consistency of their output… in addition to reducing expenses. Unfortunately, the impact of slower spending by advertisers is being felt on Wall Street. According to an August, 24 article in the NY Times, WPP which had earlier cut its revenue forecast saw its share price decline by 10.9% in London, with Omnicom Group and Interpublic Group falling 7% and 6.3% respectively in the U.S. and media stocks are generally lower as a sector. Interestingly, advertisers have made a conscious decision not to fuel marketing spend to counter slowing sales, but to cut spending to protect margins, which is particularly concerning to the ad agency community. With increased competition from non-traditional players (i.e. management consulting and technology firms) and the continued fall-out from an industry transparency crisis, the lack of confidence on the part of marketers regarding advertising’s ability to drive profitable revenue growth is certainly a worry. Does Anyone Really Want Advertisers to Solve the Attribution Dilemma? It has been decades since the concept of Marketing Mix Modeling (MMM), the forerunner to Attribution Modeling, was introduced. The concept was relatively straightforward, marketers would apply statistical analysis to sales and marketing data to quantify the impact that each element of the marketing mix had in driving brand sales and profit. Once the causal relationship had been modeled, marketers would then be able to accurately forecast outcomes and inform resource allocation decisions. While the concept may have been straightforward, the solution, for most marketers, has been elusive. Why? First and foremost, MMM has some inherent challenges, particularly when it comes to quantifying the impact of longer term brand equity development tactics versus those focused on short-term sales. Secondly, these models have not fared well in accurately assessing the impact of various media types on outcomes to assist in refining allocation decisions. Fast forward to the late ‘90’s when we experienced an explosion in online media, the birth of e-commerce and the introduction of “Big Data.” The emergence of digital media and the attendant level of data that marketers where now able to gather led to the launch of “Attribution Modeling.” The goal, to assess and quantify what marketing and media touchpoints influenced an advertiser’s target audience, and to what extent, across the purchase funnel in an effort to optimize media spending across the ever expanding gamut of media alternatives. While there are multiple variations of attribution models to consider, most marketers have relied on single-source attribution models, often using a “last click” approach which assigns responsibility for an outcome to one event. While simple, this flawed approach to attribution modeling gives too much credit to digital media, at the expense of traditional media and other marketing touchpoints. Sadly, for advertisers that are doing both MMM and Attribution Modeling, it is rare that the feedback from these related, but different approaches synch. Further, there remain audience delivery measurement (i.e. cross-channel measurement), multi-touch attribution challenges that introduce a layer of complexity that drives up the cost of attribution modeling. That said, since the onset of these two modeling tools being introduced, the industry has dramatically evolved its data gathering capabilities, enhanced CRM and DMP capabilities, conceived of and launched programmatic media buying, where algorithms have replaced media buyers and now we’re seeing the use of artificial intelligence bots, such as Adgorithms’ “Albert” that can plan and place media and create content. Heady stuff to be sure. This got the cynic in me thinking; “Well if we can master all of this from a technology perspective, surely we should be able to cost efficiently and effectively master attribution modeling.” That led to idle speculation about whether or not the ad industry really wants advertisers to solve the attribution modeling dilemma? After all, what if John Wanamaker was wrong? What if more than half of his ad spend was wasted? Remember, the marketing and media choices available to him in the 19th century were considerably more limited than those available to advertisers today. Would accurate attribution models eliminate some of the following marketing and media options from consideration? Advertisers, Did You Get What You Paid For? Given the complexity and opacity of the advertising ecosystem, at least from a billing and reconciliation perspective, it can be very difficult for an advertiser to assess if their organization received full value for their advertising investment. Consider that most agency billing to clients is done on an estimated basis, that supporting invoice detail is often limited and that seldom is 3rd party vendor invoice documentation contained with an agency’s billing to the advertiser. Not to mention the fact that production jobs can take several months to close, that media post-buy analyses typically occur three to six months after a campaign’s initial month-of-service billing or that agency time-of-staff summaries may only be provided semi-annually or at year end… if at all. Many advertiser/ agency agreements provide guidelines to help mitigate some of the concerns that may arise with regard to the notion of receiving full budgetary value. Document retention clauses, expense billing detail requirements, accounts payable timing parameters and audit rights language are examples of the terms and conditions which are negotiated into agreements to safeguard advertisers. Ironically, very few advertisers take advantage of these contractual protections to conduct detailed reviews of the billing and financial stewardship portion of their respective agency partners’ performance. However, pressure has begun to mount from stakeholder groups within client organizations that are not directly involved in the agency relationship management loop to provide a higher level of accountability when it comes to the disposition of their marketing funds. Further, functions such as finance, internal audit and procurement have even stepped up to provide funding and or personnel support to help their counterparts in marketing implement billing, financial management and contract compliance reviews of their agency networks. This type of testing and analysis should be welcomed with open arms by both the Marketing Team and an advertiser’s agency partners. Let’s face it, marketing teams, which are often resource constrained, have their hands full with their primary responsibility… demand generation. Further, some of the competencies and experience which best lend themselves to conducting financial testing may not be represented on staff within the marketing group. Similarly, agency finance teams have become both accustomed to and quite adept at entertaining advertisers and or their audit partners in conducting billing reconciliations and contract compliance reviews. Are Advertisers Willing to Forgo Effectiveness for Efficiency? It was with great interest that I read Advertising Age’s article on 2013’s record setting ad spending levels for the “Top 100” advertisers. Ironically, it wasn’t the total spending level of $108.6 billion, the 4.6% ad spend growth projection for 2014 or the fact that Ad Age’s leading national advertisers “accounted for about two-fifths (42.2%) of all U.S. measured-media spending in 2013” that intrigued me. What caught my attention was the commentary from senior ad agency executives to various Wall Street analysts about the reasons behind their company’s higher share of spending in the digital media space. The article quoted a handful of CEOs and CFOs touting their firm’s move to lessen their reliance on traditional media by increasing ad spending on digital media with the goal of realizing greater efficiencies. Interestingly, there was no reference to improving the effectiveness of their advertising investment. To be fair, perhaps they believe that spending more of their ad budget dollars in this low-growth environment (ad spending growth is outpacing company revenue growth) on digital will be more effective. It makes you wonder about the extent to which the leading national advertisers have refined their attribution modeling to reflect the impact of an exposure to their messaging on a cross-platform basis. Have they solved for the question on everyone’s mind regarding how various delivery channels such as television, print, OOH, online display and particularly owned media, impact consumer awareness, intent and purchasing behavior? You would think so. How else, could advertisers justify upping the share of spend on digital to nearly 25% in aggregate on an industry-wide basis? In the proverbial “good ol’ days” budget allocation decisions were based largely on results attained as opposed to such a heavy emphasis on “what” something cost. One had to balance effectiveness and efficiency if an advertiser was going to maximize their return-on-marketing-investment (ROMI). No one argues the inherent benefits associated with digital media today when it comes to dynamic messaging, behavioral targeting and selecting relevant media inventory that is aligned with audience media consumption actions on a real-time basis. Additionally, most industry participants realize that digital will become a much more viable media forum from an advertising perspective as time goes by. The challenge with digital media for advertisers is primarily one of confidence. Confidence in knowing that a high percentage of a dollar directed to a publisher website actually makes it to that site, that its messages have an opportunity to be seen and that the responses being generated to its ads are from target audience members and not bots and that participants in the social sphere are receptive to advertiser interaction. Absent solid cross-platform audience measurement tools, transparency into the various links in the digital media chain and the ability to accurately gauge response, it may be a risky proposition to spend two out of every five budgeted ad dollars on digital media. That said, it is clear that the digital “train” has left the proverbial station. The good news is that advertisers, agencies and publishers are working with their respective industry associations to address some of the issues which need to be dealt with in the context of digital media. However, history would suggest that an industry wide mandate or set of solutions could be some time coming. So, what can an individual advertiser do to enhance their control over the digital portion of their ad spend in the near-term? Perhaps the best place to start is to engage their agency partners in candid conversations to map out the risks and uncertainties in and around digital delivery with the goal of identifying various means to mitigate those risks. Tighter controls, improved performance monitoring, more timely and thorough campaign post-buy analysis and more rigorous financial stewardship processes between advertisers and their agencies and third-party vendors can certainly play a role in this area. Industry practitioners certainly understand the role of experimentation and the need to stay abreast of change within the media landscape. As such, the potential benefits of digital media in all of its forms, merits attention. However, when a media channel accounts for 40%+ of industry ad spend it is clear that we’ve moved beyond the “experimentation” stage. It is right to applaud the pioneering spirit which advertisers have exhibited in so rapidly evolving their media mix to integrate digital into the fold. Given that total digital media spending was $19.9 billion in 2009 (source: Jupiter Research) and in five short years later eMarketer is forecasting that 2014 global digital media spending will eclipse $137.5 billion, it is clear that advertisers are blazing new trails. 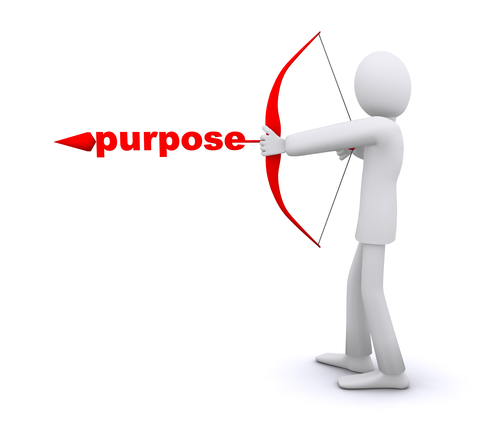 Merriam-Webster defines the term pioneer as; “a person who helps create or develop new ideas, methods, etc.” The marketing definition of pioneer, however, has often been described as: “a person with an arrow in their back.” The moral of the story? Proceed with caution and a complete understanding of the risks/rewards inherent with aggressively moving into what is still an emerging media… at least from a performance validation perspective. Interested in learning more about safeguarding your digital media investment? Contact Cliff Campeau, Principal at Advertising Audit & Risk Management, LLC at ccampeau@aarmusa.com for a complimentary consultation on the topic. A job estimate is generated. A purchase order is issued. 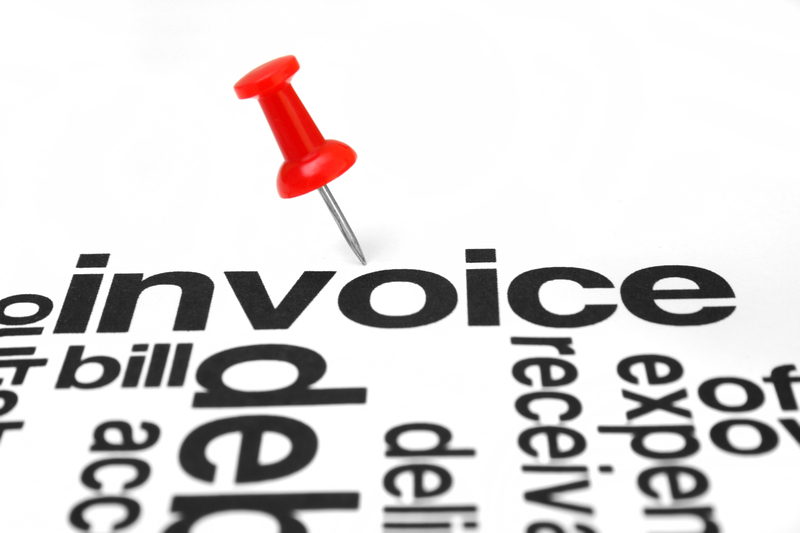 An invoice based upon the estimated job cost is generated by the agency and sent to the client. This part of the advertiser/ advertising agency billing cycle is visible and clear. How much does the agency actually pay third party vendors? Which third party vendors are utilized? Do any third party vendors pass along prompt pay discounts or agency volume bonification (AVB) rebates to the agency (and is the agency passing these back to the advertiser)? Is the agency competitively bidding outside services purchased? What percentage of the advertiser investment is being directed to agency owned business units? Are jobs being closed and actual costs reconciled to estimate? What is the agency vouching process to insure that third party vendors have fully delivered on the products/ services owed for the investment made? How much time has the agency invested in the process? Did the agency adequately earn their compensation? 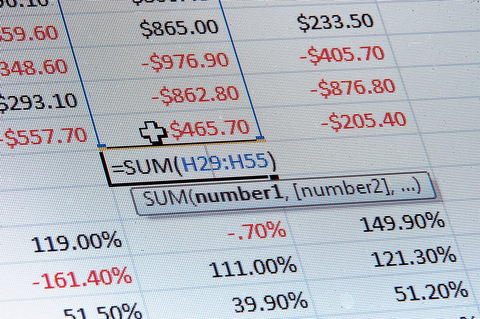 Is the financial process and reporting efficient? If an advertiser cannot readily answer the aforementioned questions, the associated lack of transparency and lax control environment increases an advertiser’s risk quotient… financial, legal and supply chain management related risks. In our agency contract compliance practice, we uncover many recurring reasons as to “Why” advertisers fail to enforce the requisite level of financial accountability within their marketing supplier relationships. These can range from staffing limitation issues (competence, knowledge, turnover, etc…) to organizational process gaps or cultural morays which simply don’t place the requisite value on accountability in this area. Experience tells us that once advertisers understand the monetary impact of “flying blind” on these key topics, attitudes toward marketing supplier accountability and contract compliance quickly change. The financial impact of limited visibility and or lax controls in this area can put millions of dollars at risk, year in and year out. This doesn’t have to be the case. An in depth independent agency contract compliance review can yield valuable insight into the financial stewardship aspects of a client-agency relationship including industry “Best Practice” standards that can be implemented to enhance visibility, mitigate risks, boost marketing ROI and strengthen the client-agency relationship. Interested in exploring the benefits of enhanced transparency when it comes to strategic supplier management in the marketing area? Contact Cliff Campeau, Principal at Advertising Audit & Risk Management at ccampeau@aarmusa.com for a complimentary consultation. Advertising Audit is an important financial control process – not an optional luxury. Any large company conducting business with an advertising agency or media buying firm without comprehensive Audit Rights is simply at risk. The marketing supplier may refuse to cooperate with (or significantly restrict) even very reasonable audit requests. Based on years of experience and observation, it is clear that a sub par or non-existent audit clause often limits an Advertiser’s ability to implement standard compliance testing which therefore limits their opportunity to validate agency billings and gain comfort. Important learning opportunities are also lost – clearly an undesired outcome. An example of a healthy financial relationship between parties – there are cases to note where even lacking clear audit documentation, the marketing supplier has complied with audit requests, but these cases are few and far between. Pushback is a “red-flag.” Good financial practices should have nothing to fear from thorough scrutiny. The more pushback the higher the risk meter should rise. Verification of billing accuracy / support would seem an innate right of any large company spending millions of dollars with a vendor (yes, even in Marketing). What should you do? (1) in the near term amend the current Client-Agency Agreement to add a Right to Audit clause – and make it retroactive for at least 3 years; (2) add a Right to Audit clause within an ancillary document such as a Statement of Work (SOW) or an annual amendment to the Master Client-Agency Agreement; or (3) create a new document signed by both parties creating a Right to Audit and adding it to the vendor master file. Once Audit Rights are established, a best practice and preventative control measure is to implement periodic and routine testing to deter wasteful practices, to identify errant billing transactions and to monitor key financial metrics. Testing should be performed at least annually, and always in cases where an agency relationship has been terminated (“transition audit”). 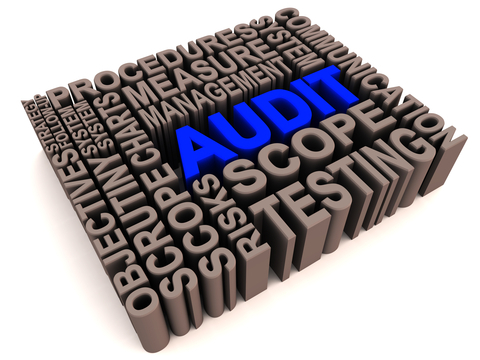 The audit concept also applies to systematic (or continuous) monitoring processes. A systematic monitoring program measures agency financial transactions, reporting and timing against a predetermined set of tolerances. Metrics are compiled and delivered at least monthly to stakeholders. Systematic monitoring is generally performed by an independent third-party with specialized software, and the Advertiser often chooses to share results with the agency – to support incentive compensation goals of and or a basis for behavior modification. Right to Audit is a necessary safeguard in today’s business environment. Determining a schedule, methodology, and defined approach that encompass at some level each vendor in the organization’s marketing network will provide necessary assurance to management that adequate oversight and preventative controls are in place to catch errors, drive efficiencies and enhance ROI. The ANA recently released the results of its sixth annual spending survey of 250 marketers regarding their 2012 budgets. Not surprisingly, budgets are not going up much, if at all. In fact, half of those surveyed indicated that budgets would be flat and one-third stated that budgets would be reduced from prior year levels. As part of their budget management efforts, more than 8 out of 10 marketers are being asked to “tightly manage” their controllable spending. Not surprisingly, the focus on controllable expenses is being extended to the organization’s agency partners as well with more than half of those surveyed indicating that they would ask their agencies to cut internal costs. The not so good news is that some of the categories of expense reduction being targeted ranging from the elimination of employee training and development to shifts in media mix to lower cost media channels can negatively impact a marketer’s effectiveness in the near-term and over the long-haul. What if there was an option available for a marketer to meet their organization’s budgetary guidelines, without sacrificing their ability to build brands and to profitably drive sales and market share? It might surprise some to learn that the ability to boost available budget and drive efficiencies is closer than they think. The answer comes in the form of a contract compliance and performance audit of an organization’s marketing agency partners. In a majority of client/agency relationships the right to audit is specified within the master services agreement. However, most marketers don’t avail themselves of this legal provision, which yields both improved financial controls and recoveries while leading to improved agency efficiencies and performance. When was the last time your organization conducted an agency fee reconciliation or conducted an independent billing reconciliation that included actual versus estimated costs along with 3rd party vendor remittance data? Have you recently checked to determine whether early pay discounts, annual volume rebates or your pro-rata share of agency group buying discounts were being captured and returned to your organization? Do you currently review your agency partners’ monthly time-of-staff investment reports? Reconcile them quarterly? Engage in dialogue with your agency partners to evaluate ways to streamline processes that can reduce your costs and bolster their margins? If the answer to any of these questions is “no” then you could be leaving money on the table.